Pinterest has hired its first ever diversity chief as it pursues its public goal of hiring more women and underrepresented minorities. 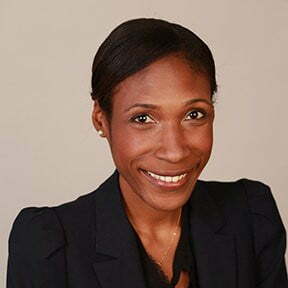 The new top-level recruit, Candice Morgan, previously worked for almost a decade at Catalyst Inc., a non-profit dedicated to expanding opportunities for women in business. Morgan’s most recent role at the organization was as a senior director. Morgan spoke of her approach to the new role, claiming that although she has no plans to overhaul Pinterest’s “aggressive” recruitment policy, she wants to introduce more transparency to the hiring process. As with Twitter, diversity is a relatively new priority for Pinterest, as was laid out in a blog post by the social bookmarking app’s co-founder Evan Sharp in 2015. That statement came almost two years after Pinterest engineer Tracy Chou wrote a Medium post urging tech companies to be more open about their diversity numbers. Even after Sharp stated his goals, the proportion of women in tech roles at Pinterest remain unchanged at 21% in November, as compared to the previous year — according to a Fast Company report. Alongside the new role, Pinterest also announced two new programs dedicated to engineers from underrepresented backgrounds. The first is a one-year coding apprenticeship program and the second a summer internship for freshman college students, entitled Pinterest Engage. At present, Pinterest’s workforce statistics are overwhelmingly white (50%) and Asian (43%), according to USA Today. That leaves little room for other minorities, with African Americans accounting for 1% of the overall workforce, and Hispanics faring slightly better at 2% overall.